For the ‘efficiency’ of the refutation of the Idle Argument (which after all is applied to particular situations, since actions are particulars), the existence of an empirically accessible, universal relation of necessary condition is not required and no causal theory with universal laws of nature has to be presupposed. For a non-futile action it is sufficient that there is a chance that the action matters for the outcome in that there is a probability that it is a necessary condition for triggering or preventing a prospective cause from being active and thus furthers a certain envisaged result. So, for both Calvin and the Stoics, because the order of things is a causal, teleological order, we cannot be idle or imprudent if certain of our goals are to be achieved. So the Stoics reject the ‘idle argument’ that if the future is fixed then there is nothing that we presently do that can affect or influence it. So, transposing this outlook into Calvin’s theism, while it was eternally ordained by God (let us suppose) that Joe climbs the ladder, God's decree that he does so is a necessary condition of the truth of 'Jones climbed the ladder'. But it is not by itself sufficient, because the decree has also to take effect in time. In ordaining that Joe climb the ladder God must also ordain that there is an available ladder, that Joe was not too frightened to climb it, that he had an objective for which ladder-climbing is necessary, the desire to climb, and so forth. And for this sort of scenario to be a cure for Joe’s idleness then he must want to climb the ladder, knowing or believing that it is (probably) connected with something further that he wants to achieve. Such factors have to be ordained in the correct causal and teleological order and to 'fall out' thus. Further, this co-fatedness is what explains why Joe uses the ladder, in the way that merely to assert 'he was fated to climb the ladder does not. 'Whatever you do it was fated that you do it' offers no guidance as to what you should do. To the question 'Why are you turning on the television?' 'Because I am fated to turn it on' or ‘God has decreed that I do so’ are not justifying reasons for that action in the way that 'Because I want to see the match this afternoon' is. It's not a reason because (according to Stoicism) I am fated to do everything I do, or (according to Calvin) everything I do is decreed by God. But (in general) I have no epistemic access to the future. All I know (by past experience in some fashion) is that in order to watch the match this afternoon I have to take necessary steps to do so. I might not take those steps, and still, by a series of unintended coincidences, see the match that I wanted to see. But this is no way to live. Effort is causally contributory to an envisaged end. Calvin is assuming, of course, that for the most part God does not disclose the future to us until it becomes the present. So he is saying that at the human level, action causally contributes to what occurs, and so having reasons to do a certain action and to refrain from doing another sort of action are explanations of why I act or forbear to act. Nevertheless, what I do is necessitated by the divine decree. Of course both Stoic fatalism and Calvin’s appeal to the divine decree impose fixity on the sequences of events. Yet if the type of fatalism, (for the Stoics) or providence (for Calvin) were that sometimes called logical or ‘simple’ fatalism, such that Joe is fated to climb the ladder whether he wants to or not, or perhaps even though he does not want to, and particular events are fated in abstraction from any particular causal nexus, then his wanting or not wanting to climb the ladder does not explain anything about how it comes to be climbed. Nothing explains that except fate, or the God of such fate. Calvin cites Cicero’s De Fato on the connectedness of means and ends. In the Institutes Calvin’s appeal to co-fatedness (he does not use the term confatalia as far as I know) occurs in a variety of contexts. His use of it to reject the idle argument occurs in his discussion of the use to which the doctrine of providence ought to be put. Those convinced of the doctrine should view their lives and the lives of others not only in terms of secondary causes, which he here calls 'means', but in terms of God's will, the primary cause. But in referring to the primary cause, they should also not forget or neglect the place of secondary causes. For he who has fixed the boundaries of our life, has at the same time entrusted us with the care of it, provided us with the means of preserving it, forewarned us of the dangers to which we are exposed, and supplied cautions and remedies, that we may not be overwhelmed unawares. Now, our duty is clear, namely, since the Lord has committed to us the defence of our life – to defend it; since he offers assistance – to use it; since he forewarns us of danger – not to rush on heedless; since he supplies remedies – not to neglect them. But it is said, a danger that is not fatal will not hurt us, and one that is fatal cannot be resisted by any precautions. But what if dangers are not fatal, merely because the Lord has furnished you with the means of warding them off, and surmounting them? See how far your reasoning accords with the order of divine procedure. You infer that danger is not to be guarded against, because, if it is not fatal, you shall escape without precaution; whereas the Lord enjoins you to guard against it, just because he wills it not to be fatal. Hence as to future time, because the issue of all things is hidden from us, each ought to so to apply himself to his office, as though nothing were determined about any part. Or, to speak more properly, he ought so to hope for the success that issues from the command of God in all things, as to reconcile in himself the contingency of unknown things and the certain providence of God. There does not seem to have been the same emphasis in early Stoicism. Later Stoics, such as the Roman Stoic Epictetus ( c.55-c.135) had a great interest in the moral value of their outlook. Fatalism should promote a prudent approach to life, to living within one’s limits, avoiding recklessness and risk, and so living in accordance with Nature. According to Bobzien, Epictetus, and no doubt others, were thus future-orientated, whereas earlier Stoics such as Chrysippus tended to be past-orientated. But when once the light of divine providence has illumined the believer’s soul, he is relieved and set free, not only from the extreme fear and anxiety which formerly oppressed him, but from all care. For as he justly shudders at the idea of chance, so he can confidently commit himself to God. This, I say, is his comfort, that his heavenly Father so embraces all things under his power - so governs them at will by his nod – so regulates them by his wisdom, that nothing takes place save according to his appointment; that received into his favour, and entrusted to the care of his angels, neither fire, nor water, nor sword, can do him harm, except insofar as God their master is pleased to permit. There is another context of Calvin’s in which co-fatedness is invoked, though again not in name. Calvin argues that God's determination confers necessity on what otherwise would not be so. He gives the example of Christ's bones. The prophecy (i.e. a revelation of a divine decree) that none of Jesus' bones will be broken is co-fated (or co-decreed) with the failure of anyone to break any of his bones. So what failed to happen depended upon the prophetically-announced decree and is explained by it. The co-fatedness (or co-decreed) account of Jesus’ bones would be something like: the infallible prophesy, Jesus' bones will not be broken, is co-decreed with certain other events e.g. that there are no successful attempts to break them, or no attempts at all, and no ‘accidental’ breakings. The ultimate explanation of why events, including human actions, occur is not in the last analysis to be referred to any immanent set of causes, much less to a set of causes to which God himself is bound. Calvin is not willing to consider the power of such a series, particularly the idea of a necessary set of causes, apart from the one who ordains it, Almighty God. But this does not mean that Calvin denies the existence of such a series. It is simply that this is not the whole story. What it does show is that Calvin is not attracted by immanent fatalism and in particular he is adamantly opposed to astrological fatalism, the more so if it is claimed not only that the stars are merely the evidence of fate, but that they act independently of God, and even more so were it claimed that even God himself is bound by what is written in the stars, written by a non-divine hand. So it is the type of causal necessity that is at issue between Calvin and Stoicism, (and not chance or fortune). This is underlined by the next question considered by Calvin in the Institutes. Does nothing happen by chance, nothing by contingency? The question obviously implies a negative answer. So the necessitarian presumption is retained. Nevertheless, even for Calvin, human choices are voluntary in an irreducible sense. God necessitates all that happens, but in a way that is consistent with the varied natures of things. It follows that 'chance' is for Calvin a purely epistemic term, following Augustine. I say then, that though all things are ordered by the counsel and certain arrangement of God, to us, however, they are fortuitous – not because we imagine that fortune rules the world and mankind, and turns all things upside down at random (far be such a heartless thought from every Christian breast); but as the order, method, end, and necessity of events are, for the most part, hidden in the counsel of God, though it is certain that they are produced by the will of God, they have the appearance of being fortuitous. Augustine is approvingly noted by Calvin as one who rules out chance, and even rules out that things occur partly by man's free choice, partly by divine providence, and 'he also excludes the contingency that depends on human will'. So it is clear that Calvin, though ostensibly taking a via media between fortune and chance on the one hand, and Stoic necessity/fatalism on the other is, like his mentor Augustine, in virtue of his commitment to divine sovereignty, inclined more to the side of fatalism than to the side of fortune and chance, or to some view of providence which has to find place for the 'contingency which depends on human will'. The sense of fortuitousness is purely epistemic, since necessity is the basic metaphysical component in his account of providence. 'That which God has determined, though it must come to pass, is not, however, precisely, or in its own nature, necessary.' It is a case of the necessity of the consequence, not of the consequent. This necessitarianism is not logical necessity or in some weaker sense inevitable, having a causal necessity deriving only from immanent forces. 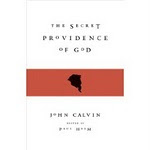 If God had created a Stoic world, adopting a deistic stance towards it, this would not for Calvin have been equivalent to the Christian doctrine of providence, because it would lack the divine attention that is paid to the governing of each particular. Calvin’s form of compatibilism is grounded in the autonomy of human (and angelic) agency, like the Stoics. Autonomy in the sense that human agency is not simply the effect of sets of external forces. In this sense God works through those distinct individual natures that he has created and upholds, and not merely through laws of nature and initial conditions which together are causally necessary and sufficient for everything that occurs in the world. All of this reminds us that insofar as Calvin is a determinist as a result of holding his view of providence, he does not avow determinism, any more than he avows providence, for theoretical reasons. He does not adopt his view of meticulous providence because he thinks that it solves philosophical problems. Undoubtedly, his doctrine of primary and secondary causes (taken from the medieval tradition) and his distinction between doing and willingly permitting (taken from Augustine) involve theoretical, philosophical difficulties. 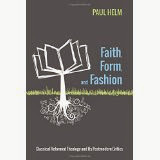 Calvin acknowledges as much when he stresses the mysterious character of the doctrines that involve these distinctions. Yet he adopts these views, aware of their attendant difficulties, because he believes that other views involve an even greater difficulty, that of not doing as much justice to the Scriptural data as his own view. So it is doubtful that Calvin thinks that appealing to a hierarchy of agents, and his utilising of the distinction between doing and willingly permitting, are sufficient to explain God's relation to sin. One clue to this is that he frequently appeals to the 'modesty and sobriety' of his immediate readership to ward off what he regards as invalid inferences of both a theoretical and a practical kind. If someone draws the inference that because he is an instrument of divine providence then he is not to be blamed for his evil, Calvin regards this as a serious mistake not because he can provide a convincing argument to the contrary, but because (as, he believes, his Christian readers will readily concur) such a proposal is immodest. Why should someone think of making such an inference except to further express and to safeguard their wickedness? To objections of a more theoretical kind that don't express such an antinomian tendency but focus instead on Calvin's failure to demonstrate his position, he would I suspect be more accommodating. But because he is ultimately concerned to foster the correct practical religious responses to the doctrine of providence rather than to offer a satisfactory explanation of it, the plain fact is that he is less interested in pursuing the theoretical issues. His confidence in his position does not arise from a belief that he has explained it, nor answered all objections to it, but because he is persuaded that this is what Scripture teaches. Our true wisdom is to be embrace with meek docility, and without reservation, whatever the holy Scriptures have delivered. Those who indulge their petulance, a petulance manifestly directed against God, are undeserving of a longer refutation. Here as elsewhere, Calvin's first aim is persuasio rather than demonstratio.